The beroNet PCIe VoIP cards are full-fledged VoIP Gateway Media Gateways in the form factor PCI Express. They are modular and can be equipped with up to two modules. 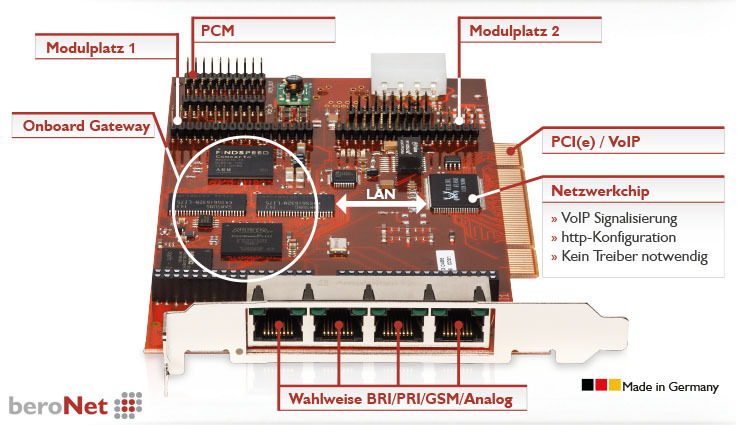 Digital ISDN (BRI / PRI), analog (FXS / FXO) and GSM modules are available for beroNet’s modular technologies. 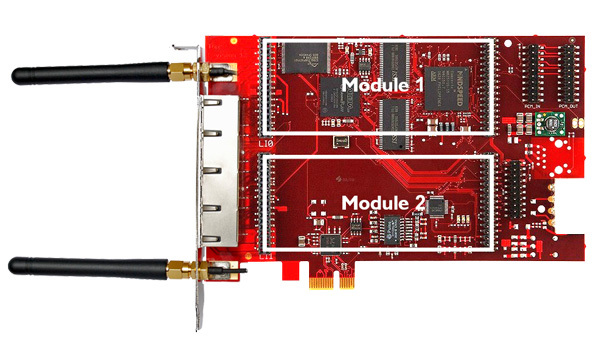 An optional PCM-Bus connection between two Gateways or beroNet VoIP cards ensures real hardware bridging for transparent audio transmission of sensitive voice, video, data and Fax services. The beroNet PCI(e) VoIP cards are ideal for PBX manufacturers, Telephony Appliances, Fax appliances, Unified Communication Appliances, and hybrid systems. beroNet PCIe VoIP Cards’ modular design allows this device to meet any unique need. Modular VoIP technology increases adaptability and flexibility by allowing you to change the modules instead of the entire device if it is needed for a different VoIP installation.